Our vision is to host a successful, safe and secure Games that deliver a lasting legacy for the whole of Scotland, and to maximise the opportunities in the run up to, during, and after the Games. This was the promise made by the Scottish government to the Commonwealth in 2014. 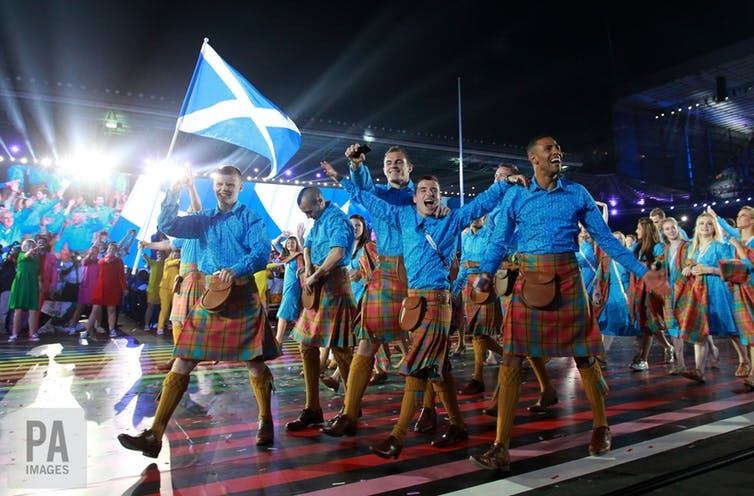 In the 12 days of competition that followed, the city of Glasgow achieved a “hero-like status”, Team Scotland achieved its biggest-ever medal haul of 53 medals, and the games recorded the highest number of tickets sold for a sporting event in Scottish history. Minister for sport Aileen Campbell hailed the event as a huge success by announcing that Glasgow’s Commonwealth Games was the largest sporting and cultural event ever held in Scotland and had changed the lives of thousands of people. The message from the host nation was clear: the games were not just about showcasing elite athletes, but about delivering a legacy that would provide a flourishing economy, celebrate cultural diversity, embrace sustainable living, and create a more physically active nation. But four years on, not all those ambitions have been achieved. The games were considered a golden opportunity for Scotland to harness the power of sport to motivate a sedentary nation. A ten-year implementation plan was launched in 2014 to tackle physical inactivity across Scotland as well as myriad other initiatives to support communities in improving the local sporting infrastructure. Two and a half years after the games, an interim report by the Scottish parliament’s Health and Sport Committee was undertaken to assess the progress made in increasing physical activity levels across Scotland. The report concluded that there was no evidence of an active legacy being achievable. More alarmingly, any evidence of a relationship between the hosting of a major sporting event and raising the host nation’s physical activity levels was inconclusive. This raises serious questions as to why such an ambitious legacy aim was included in the first place given the likelihood of failure. It could be that the Scottish government included the aim of increasing participation within its legacy pledge as a desperate attempt to address Scotland’s poor health profile, one of the worst in Europe. A final evaluation report on the impact of the Glasgow 2014 Commonwealth Games published by the Scottish government days before the opening ceremony of the Gold Coast 2018 Commonwealth Games highlighted the harsh reality that the active legacy programme had not “resulted in a step change in population levels of physical activity in Scotland”. In fact, the GoWell East study that tracked participant levels within the surrounding area of Glasgow found that overall rates had actually declined, with just over 53% achieving the recommended physical activity levels in 2016, compared to 62% in 2012. However, the east end community surrounding the main games site is one of the most deprived areas in Scotland, with some of the worst statistics in Europe for child poverty, health, crime, and alcohol and drug abuse. This could account for the declines in physical activity levels in the east end of Glasgow as the underlying reasons behind social inequalities in sports participation is poverty – not having the income to spend on sport. But Glasgow is not alone. Other nations hosting major sporting events have failed to capitalise on the perception that a sprinkling of magic over a big sports event will motivate a population to become active. Data that tracked participation levels of Australians before, during and after the Sydney 2000 Olympic Games found they had declined, due – ironically – to Australians spending more time watching sport on TV than taking part themselves. Undoubtedly, many nations believe that elite sporting success and the hosting of major sporting events on home turf can encourage mass involvement, and in turn create an active nation. An example of this is London’s 2012 Olympic Games, which promised to “do something no other Olympic Games host nation had done before”: inspire a new generation of young people to get involved, get active and take part in sport. This bold statement from the UK government has since been questioned, because in fact, no previous games had even attempted to leverage improved physical activity as a legacy outcome. It became abundantly clear post-London 2012 that the Olympic Legacy promise had failed to come to fruition with figures showing no more young people taking part in sport than before the games. As has been argued elsewhere, there is still a lack of robust evidence to suggest that the presumed trickle-down effect of hosting a major sporting event can trigger an increase in physical activity. The failure of London 2012 and Glasgow 2014 to create and inspire a nation to get active is not really surprising. For more than 40 years, community sports policy in Britain has been plagued by failings to meet physical activity performance indicators set by governments. This could be down to a variety of factors including: poor policy analysis to inform future policy-making decisions; overambitious or naïve participation targets; inadequate resources to deliver long-term programmes; and changes in direction leading to ambiguity regarding who is responsible for delivery. Given these issues, it is understandable that grass-roots sport policies and major sporting events have failed to encourage more people to get active. Future government policy on community sport needs to have an all-party group commitment, that is evidence-based to ensure objectives are realistic. It needs to have a long-term plan and be adequately funded to ensure that there are real and lasting results. In the end, we have to face a difficult truth: governments continue to invest in costly elite sport and big extravagant sporting events that come at the expense of community sport.